Archadeck of Columbus is asked to contribute their time and expertise on a home makeover for Extreme Makeover Home Edition. 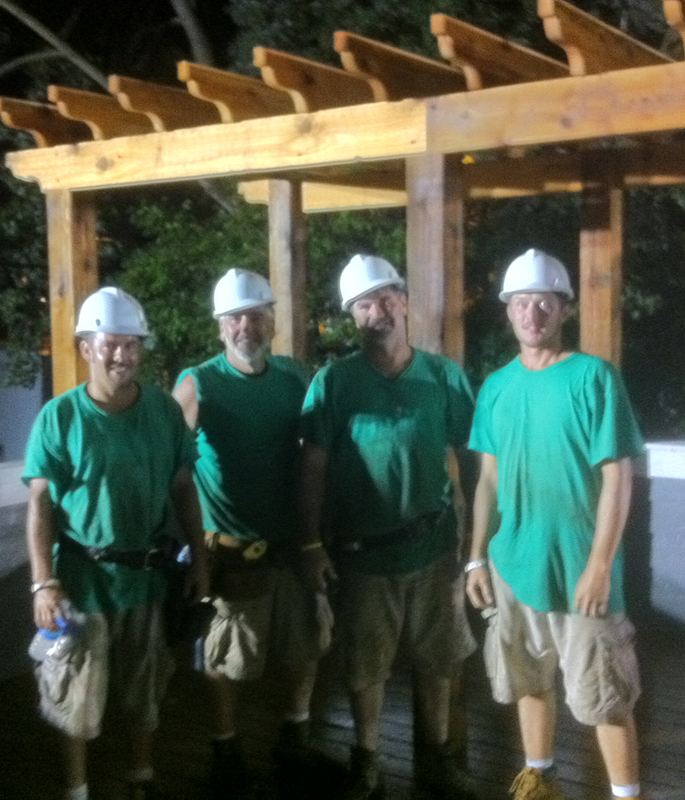 Here is a photo of the Archadeck of Columbus Extreme Makeover crew after working 19 straight hours, still all smiles. If you haven’t had a chance to tune in to catch an episode of “Extreme Makeover Home Edition“, on ABC then now is your chance. The show itself centers around a family that is nominated for an extreme home makeover. The recipients of this makeover are families that have experienced unfortunate circumstances or debilitating illness within the family, Often times these recipients are pillars of their community who have devoted their lives to improving the lives of those around them. These families shine through and are chosen to receive a much deserved extreme home makeover. Being asked to participate in helping improve the lives of a family by a home makeover is truly an honor. Recently Archadeck of Columbus was given the chance to contribute their time and expertise for an upcoming Extreme Makeover Home Edition episode. Working on a job such as this can change your life forever, and it gives us an opportunity to be able to give back to the community and touch you in a way nothing else possibly can. Archadeck of Columbus was asked by a lead local builder in Ohio, P&D custom builders, to assist in building the deck on top of a detached garage utilizing TimberTech Earthwood Evolutions composite. The deck was constructed using concealock fasteners, and the color the Extreme Makeover design team chose for the deck was a beautiful walnut color. The deck construction entailed building a frame over a rubber roof on top of the 2nd story garage. The deck parapet walls are 38″ high around three sides of a 20 x 23 area. This area also includes an 8 x 20 stunning cedar pergola that is over one side. The day of the construction, we had the help of four people from Archadeck; Dennis Schaffer who is the regional franchise business developer and Seth Mitchell & Josh Kempf who are two of our best carpenters. The day began by dedicating our first four hours at the home assisting the interior house framers that needed some help. We were glad to give it, the spirit and emotion that was running through the whole construction site was like none we had ever experienced, and everyone present could feel it. The whole makeover project took an unheard of total of 5 days, this is from the demolition phase all the way to the re-building. This event showed how a community can come together to complete what many would consider impossible or unthinkable and it shows what the human spirit is truly capable of when your driving force is that of humanity and humility. The crew from Archadeck of Columbus worked 19 hours straight through their weekend to finish the job. Even though the crew was exhausted we wouldn’t trade this experience and we will always look forward to being honored enough to be asked to participate in endeavors such as this and give back what we can to our community.